To make a stone finish, use Paverpol lead color or Paverpol transparent mixed with Pavercolor Siena as a basis. (Of course, you can also mix with other Pavercolors if desired.) 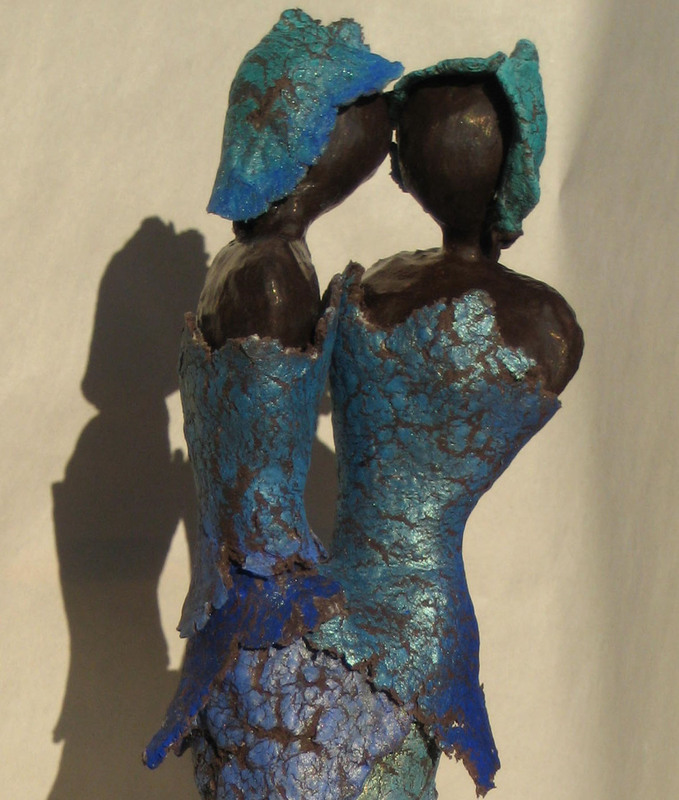 You can use a preformed figure of Styrofoam, plaster, paper mache, or kitchen foil covered with masking or floral tape). If you dont like the appearance of a base you can change it completely! When your work is fully or partially decorated with the clay, scatter some powder over it and rub it in well. 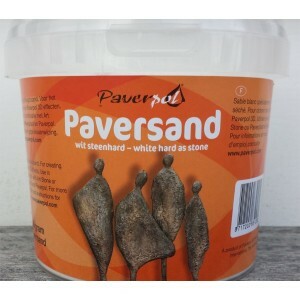 Apply some Paverpol with a brush if the base has become too dry. 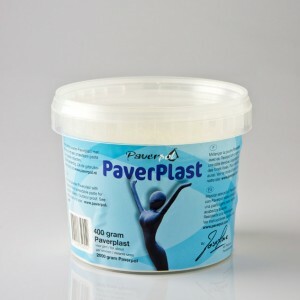 You can also scatter a little Paverpol on the wet layer and rub it afterwards. This stone effect is not suitable for outdoor objects. 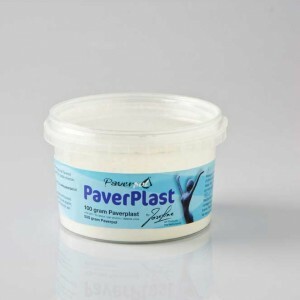 If you want to leave the piece of work outside, you can use patina instead of powder, which can be made by mixing white Pavercolor with Josefine gloss varnish. Apply with a brush. Remove the surplus patina with a tissue. Let the work dry and make it glossy with a lint-free cloth. To make a crackling paste: roll the paste until its no longer sticky ( like a pie dough), scatter some Pavercolors, roll again and delicately stretch the paste to crackle it. To make a stamped paste: apply your stamp, heavy lace, embossed tapistry, etc, and delicately rub Pavercolors on the surface. To make jewelry: Create stones of clay, use a skewer to make holes in them, and get a leather lace to thread the beads. 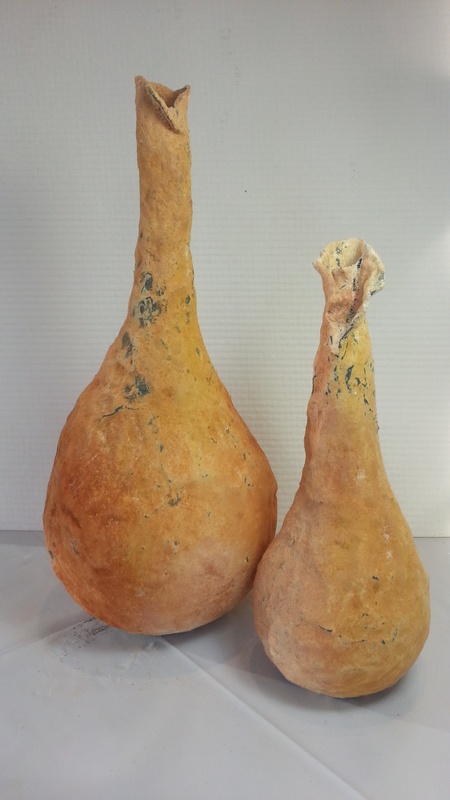 Available in tub of 300 grams. Vases made with Paverpol Grey and Pavercolors Yellow Light Ochre and Sienna. 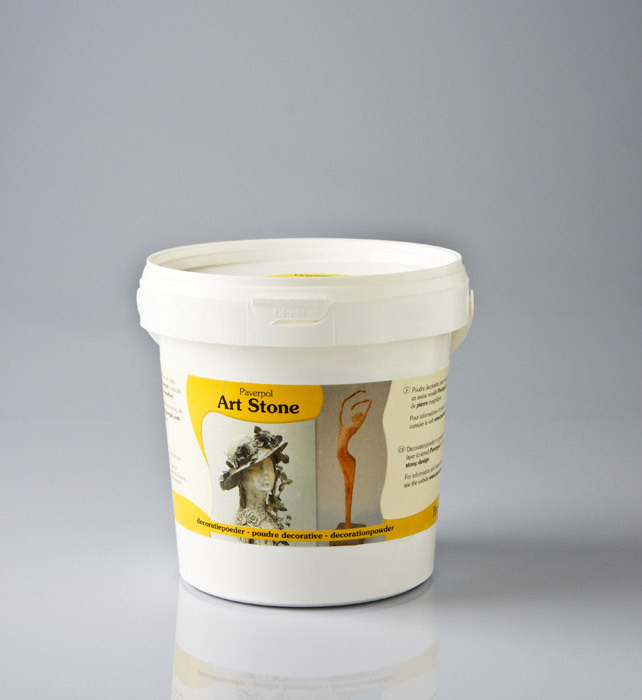 Mix Paverpol and Art Stone to make clay. 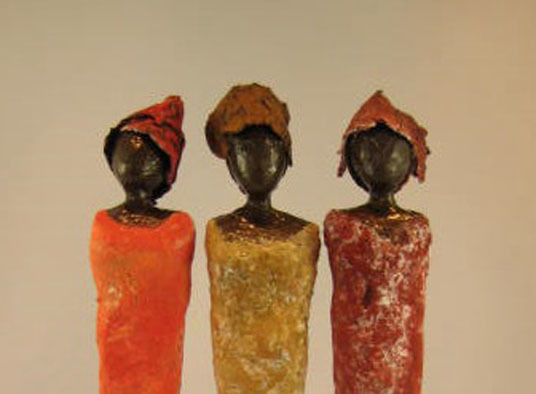 In this picture Pavercolors were rubbed in the clay and stretched before applying to torsos. Paverpol Bronze brushed on foil, art stone sprinkled in wet Paverpol, pressed. Later Pavercolors were rubbed on. Paverpol Grey brushed on Styrofoam, Art stone sprinkled in wet Paverpol and pressed in, rubbed off in certain spots. Repeat process until satisfied. 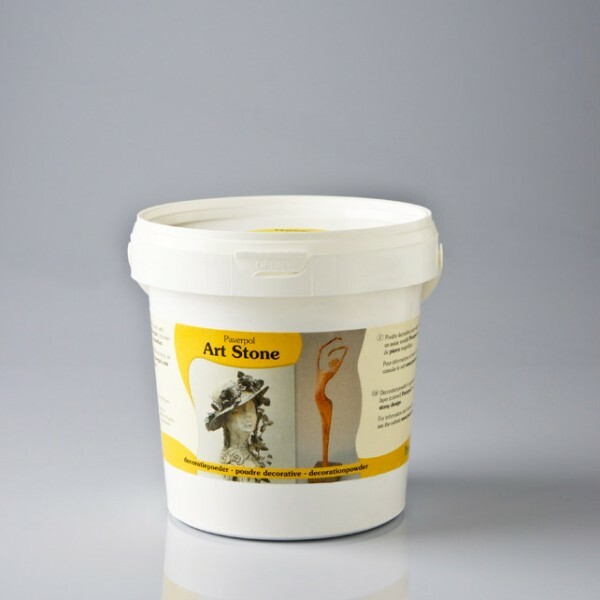 Be the first to review “Paverpol Art Stone Decoration Powder” Click here to cancel reply.